When Emily goes on holiday to a tropical island, she discovers a beautiful waterfall with a secretive past and a dangerous future. Can she save the day before it's too late? I visited Niagara Falls at the end of a book tour - and I instantly knew where Emily Windsnap's next adventure would take place. In Emily's seventh book, she is headed to a tropical island for a relaxing holiday with friends and family. And this time, Emily promises her best friend, Shona, there will be absolutely no adventure — just plenty of fun. 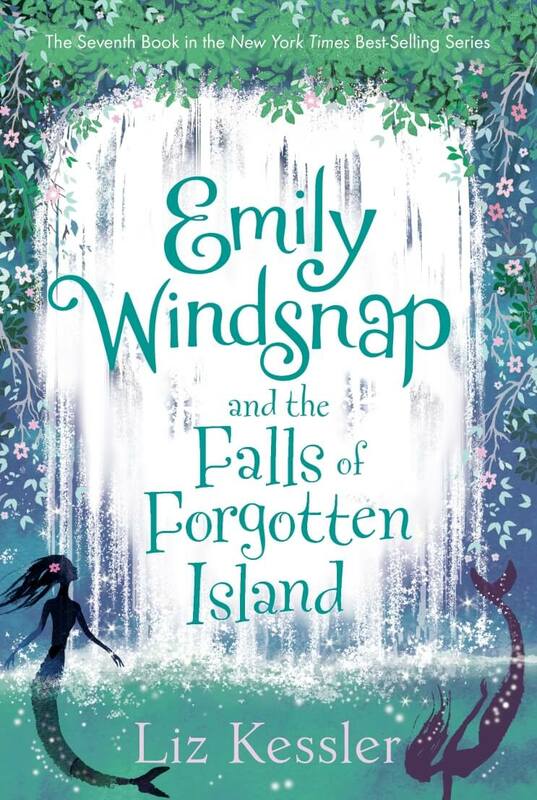 But somehow, excitement and adventure always seem to find Emily, and before she knows it, she ends up on the other side of a powerful waterfall on a forgotten island that no one else can get to. Then she discovers there is a great danger ahead - and she might be the only person who can keep everyone safe.